It’s time to eliminate U.S. and Israeli intelligence agencies. It is they who are most responsible for setting up the extremist and jihadist organizations that are creating havoc throughout the world community. Amazingly, the CIA and the Mossad have started and funded entities like the Shah of Iran, the Mujahedeen in Afghanistan, Hezbollah in Lebanon, an autocratic military caste in Egypt, that are undemocratic and violent as well as disruptive in that they create blowback that gives the U.S. and Israeli agencies and militaries further excuses to intervene. It’s a recipe for forever war, which is exactly what the U.S. is reaping, for you reap what you sow. The first cause is easy to state: oil. Why else is the U.S. bending over backwards to preserve Saudi Arabia, the country from which hailed fifteen of the nineteen 9/11 hijackers? Oil, energy, and profits drive U.S. policy, together with the goal of preventing any powerful rival to Israel emerging in the Middle East, while suppressing “radical” Shia Islam. But in the cause of dominating oil, protecting Israel, and suppressing Islam, the U.S. and its Israeli “friends” have created or incited radical jihadists throughout the world. It was our CIA that orchestrated “regime change” in Iran sixty years ago, a change that led to the Iranian Revolution and the hostage crisis that bedeviled the Carter Administration. Anyone care to repeat that disaster? Having not learned from this blowback our current CIA and Obama’s Secretary of State, John Kerry, tried the same trick in Egypt after young people rose up during the Arab Spring against a forty-year-long dictatorship under Hosni Mubarak. After the Egyptian military overthrew the democratically-elected Morsi government in 2013, Kerry refused to name it a “coup,” thus legitimizing it while restoring U.S. funding to Egypt’s military. This again made both Israel and the Saudis happy because Morsi was associated with the Muslim Brotherhood. So now we have a new dictator of Egypt, Sisi, a former military general and graduate of the U.S. Army War College who oversaw the coup and has seen to it that the imprisoned Mubarak is exonerated of murder. 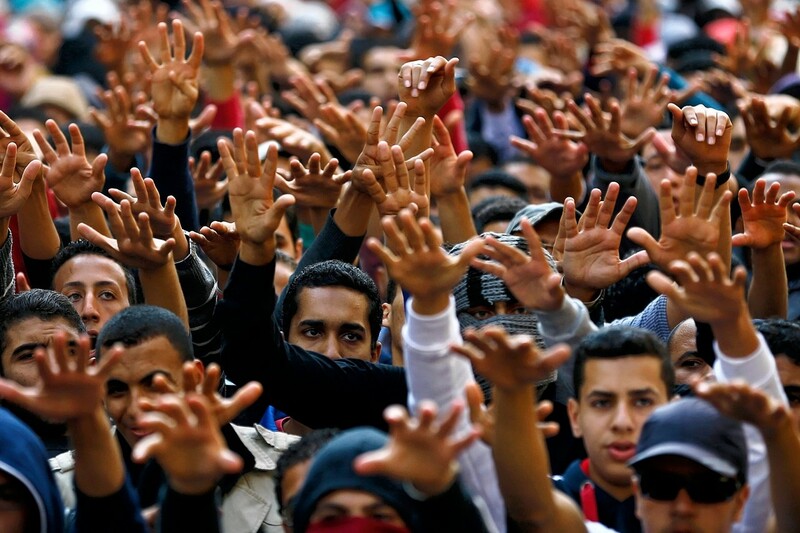 The youth of Egypt had best forget about democracy for another forty years. Now here’s the real shocker! Richard Silverstein at his Internet site tells us how ISIS, Hezbollah, Al Qaeda, and similar terrorist nightmares were originally funded and set up by those imaginative guys and gals in our intelligence agencies. In the 1960s, Rafi Eitan was the master Israeli Mossad agent who arranged the kidnapping of Adolf Eichmann to stand trial in Israel for crimes against humanity during the Holocaust. He played a key role in the Israeli air attack in 1981 on the Iraqi Osirak nuclear facility and managed the American Israeli spy Jonathan Pollard (which incidentally ended Eitan’s career in Mossad). She remained quiet when he disappeared for days on end in Lebanon and founded there a militant Shiite organization which, in future days would come to be Hezbollah. He initially conceived Hezbollah as a counter to the power of Arafat’s PLO within Lebanon. It’s virtually the same strategy Israel used in founding Hamas, also a little known chapter in Israeli intelligence history told in the Wall Street Journal (of all places!). In this circumstance too, after trying and failing numerous times to create quisling Palestinian entities to combat the supremacy of the PLO, it determined to found an Islamist organization to counter-balance the secular Fatah. In both cases, Israel’s strategy succeeded beyond its wildest dreams. In fact, both Islamist groups, like the legendary Golem from the medieval Jewish folktale, took on a life of their own and escaped the clutches of their creators. Once they became independent, they turned into Israel’s worst nightmare. Anyone who’s seen the film, Charley Wilson’s War, will understand that the CIA determined to do the same with the Afghan mujahadeen, in fighting the Russians. Instead, they eventually spawned Osama bin Laden. Similarly, in trying to bring the downfall of Bashar al-Assad the U.S. and Gulf States built up the radical Islamist Sunni groups that became Al Nusra and ISIS. This sort of strategy almost always leads to unforeseen fatal consequences. These are tragedies borne by future generations. The geniuses who conceive these ideas rarely have to live with, or take responsibility for what they’ve done. So folks, don’t you think it’s time to question the value of our “intelligence” agencies? What they are truly best at is creating terror, not preventing it. It’s high time we defund our “intelligence” agencies and put the roughly $100 billion we’d save into a cabinet position for a Department of Peace, as former Congressman Dennis Kucinich once proposed. Just a couple of quick points: 1.) I had no idea of Israeli skullduggery in establishing Hamas or Hizbollah, but it makes sense in light of the campaign to undo poor little Mr. Arafat. And undo him they (Israel) did, blowing up parts of his HQ complex while he was on the premises, driving him to his death-by-nerves; 2.) to say bin-Laden was “spawned” by CIA-established ops in Afghanistan makes it sound like he was an accidental byproduct, whereas my understanding is that he was basically put in charge of the mujahadeen by the CIA. Dismantle the “government-within-the government”?!!? What, are you guys turning more Quixotic than I??? This would require nothing less than a genuine (i.e. “there will be blood”) revolution. This system is way, way, way beyond mere reform. You could try starving it of money. But the American people would have to be mature enough to resist threat inflation and fear-mongering. I think the people are, but the politicians and powers-that-be are not. I’m not sure revolution is the answer. Too unpredictable. Would we see an American Caesar? A Napoleon? A Mussolini who promises a return to order and the trains and planes running on time? Greg. Let’s make the connection between Osama Bin Laden in Afghanistan, 9/11 with 17 of the 19 criminals being Saudi citizens, and Prince Bandar- Bush, soon to become head of Saudi ‘Intelligence’., and the Saudi royal family. Can you connect those dots without feeling that you are a far out conspiracy theorist? Not too far a reach! The Bin Laden family is the Saudi royal family’s favorite contractor for large projects. Lots of money. The CIA probably handled the logistics of arms shipments, including Stinger missiles. and the Saudi’s supplied the money for the hardware. And our President saw to it that members of the Saudi royal family were hustled out of the country without even an FBI interview. Who funneled money to the 17 hi-jackers while they were training here? And a member of the trusted Bin Laden family was the logical recipient of the assets to assume a leadership role in executing the Afghanistan plan. Recent events in France remind us of the chaos that our “intelligence” agencies have brought to the world. “Je suis Charlie.” Thank you CIA, Saudi, and Israeli intelligence. We’re all “Charlie” because after several years of drone warfare making us “safer” in Yemen we have two brothers who massacred the staff of a cartoon magazine in Paris. Your excellent intelligence and intervention in Syria, Iraq, Egypt, Afghanistan, and we might add Ukraine, have brought the current western world not safety but direct violent fallout and blowback as a result of your ill-advised ventures to advance Western imperialism throughout the world. The brothers who murdered the staff at Charlie Hebdo were trained and indoctrinated in the midst of your drone attacks in Yemen. That intervention backed by the Saudis has changed that sorry country from a corrupt, repressive state to a totally failed state more like Somalia. Let’s also chalk that one up to the other violent gangster who murdered four people in a Paris Jewish deli. Now we hear about the Belgium shootout with a group of Belgium citizens trained in ISIS-controlled Syria-Iraq who apparently came back home to spread carnage long after G.W. Bush declared “mission accomplished” in Iraq. Now ISIS controls a good portion of Iraq. So while we continue to pursue this perpetual war on “terrorism,” and to receive lectures on how our “intelligence” services must ignore the Constitution and violate our privacy to control terrorism we are finding ourselves more vulnerable to killers being trained in the Middle East thirteen years after we brought “democracy” to their shores. With success like that, who needs failures? Bravo, “b. traven”!! I couldn’t have said it more forcefully than you! The scene in western Europe–you know, “the Free World” and blah, blah, blah–looks suspiciously like martial law is in effect. It’s probably accurate to say it IS in effect! Forces of the regular military swarming all over the place, headlines about “20 sleeper cells believed in place,” arrests of some folks I’m sure are only guilty of (possibly) harboring thoughts unpleasantly skewed against the Established Order. Coming soon to the streets of Amerika, no doubt. Speaker Boehner praising the domestic spying efforts of government agencies (hey, they just “caught” another “terrorist”–one set up to take a fall by undercover US agents, no doubt! )…and calling for escalation of these surveillance efforts. Step by step, we creep closer to a genuinely totalitarian regime here at home. And the ordinary citizens? Well, they’re busy buying new SUVs because gasoline has gotten cheap and stocking up on “lite” beer for the Super Bowl!